My two seasons performing with the Civic Orchestra and as a Civic Fellow comes to a close with this blog post. As I move on to my next chapter, here are eight beautiful moments from my second year that I will carry with me. I could not imagine a better way to begin our season together than our weekend residency in Greencastle (IN); we were a community of musicians on a big adventure. During the performance of Osvaldo Golijov’s Azul with CSO Creative Consultant Yo-Yo Ma and guest conductor Edwin Outwater, I was overwhelmed with gratefulness and the power of the piece. For the first time in a long time, I cried on stage. I just couldn’t help it. Read more about the tour here and here. Above: The Civic Orchestra began the 2017/18 season with a residency at DePauw University in Greencastle (IN), accompanied by Judson and Joyce Green Creative Consultant Yo-Yo Ma. The second-year Civic Fellows felt massive pride when we reprised our residency at Caledonia House, an assisted living community in North Riverside (IL). This project combined stories written by the residents and music designed by the fellows to create original acts. The fact that this project was from a fellows’ community engagement grant project last season taught us that we have the support from the Institute to focus on sustainability and long lasting partnerships. Read more about Caledonia House here and here. We worked from October onward to prepare our presentation from scratch, so the anticipation to give the first performance was something that weighed heavily on us for months. I will never forget the collective sigh of joyful relief we let out after our debut show at The Rice Center, knowing that children learned, laughed, sang, and created with us a musical experience. It worked! Read more about CSO-Connect here, here, here, and here. Above: Civic Fellows take their CSO-Connect performance on the road, visiting partner CPS schools and other community venues. | Todd Rosenberg Photography (2018). Sara Lee and Rex Horan are two of the most inspiring people any of us have encountered. They taught us patience, adaptability, and compassion for everyone; using the rock music we composed with the incarcerated youth at IYCC as the vehicle to show us these qualities. Wearing our new hats as rock musicians afforded us the opportunity to be on an equal musical level with these young men, which in turn, gave all of us the space to humanize each other — something that otherwise may never have happened. Read more about our songwriting programs with Rex and Sara here. “Bonnie and Clyde Story.” Or Performed live at IYCC, March 10, 2018. | Written by A project team consisting of musicians of the CSO, Civic Orchestra Fellows, teaching artists from the U.K.-based Irene Taylor Trust, composer Josh Fink, and 14 youth in the facility. Adolescent males from Illinois Youth Center-Chicago perform original songs at a the culminating concert of a songwriting residency with Civic Fellows and songwriting experts. | Todd Rosenberg Photography (2016). Performing this symphony is a bassoonist’s dream! Almost exactly one-year prior, I was performing Stravinsky’s The Rite of Spring in Orchestra Hall, a solo in the opposite extreme range of the bassoon. For a long time, the famed Tchaikovsky orchestral excerpt was a nemesis of mine; I never quite felt content with how I played it. But receiving world-class tutelage fromCSO Assistant Principal Bassoon Bill Buchman and playing it with the world-class Civic Orchestra gave me the confidence to embrace and enjoy the way I play it, and now I look forward to the next time it shows up on my music stand. Read more about this concert here. 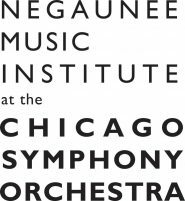 The Civic Orchestra of Chicago, under the direction of Ken-David Masur, perform a program featuring FINNIS The Air, Turning [U.S. Premiere], R. STRAUSS Suite from Der Rosenkavalier, and TCHAIKOVSKY Symphony No. 6 (Pathétique). | © Todd Rosenberg Photography 2018. The forever-friendships I created in the Fellows Winds Quintet meant that our time together provided some stability to my often-unpredictable schedule. I always looked forward to our rehearsals and performances. We spent the entire spring collaborating on a concert program that would feature a huge range of musical traditions, with all pieces written by non-white composers. We knew there was truly something for everyone to enjoy at our performance at The National Museum of Mexican Art when multiple members of the audience complimented each and every piece on the program. From the serialism of Kevin Scott’s music to the groove of Lena Mathon Blanchet’s, and from the chaos of Xinyan Li’s to the landscape of Louis Ballard’s and the dance of Arturo Marquez, someone had a specific aspect of each work that brought them joy. We learned to not assume anything about our audience—we learned that if we program what speaks to us, there will always be someone with whom it connects. Read more about this chamber program here and here. In response to mass shootings and gun violence in the United States, our West Side community engagement group set out to partner with an organization working to prevent youth and gun violence in Chicago. We spent June visiting BUILD to work with their youth participants and put together an arts and music performance. We strived to offer a safe space for children to create, and to have a little more joy in all our lives. I hope that this project continues next season, just as did our partnership with Caledonia House. Read more about the BUILD performance here. I feel so lucky that the Institute gave me the space and resources to pursue my own engagement work during this season. Perhaps the best musical moment of my life so far was helping facilitate Yo-Yo Ma’s visit to RefugeeOne during Bach Marathon. My friendship with RefugeeOne and their youth is one I cultivated with my organization Trade Winds Ensemble when we hosted a summer music camp in 2017 (also supported by the Institute!). I wanted to continue to offer the children of RefugeeOne everything I could, so I began bi-weekly music visits with Civic musicians. When Yo-Yo requested to make a visit, I couldn’t have been happier. Together, he and the children sang, told stories, and played. It was the greatest thing I’ve ever been a part of. Read more about RefugeeOne here. Above: Civic Fellow Midori Samson and Yo-Yo Ma make an impromptu visit and performance at RefugeeOne in November 2017. | Photo by Todd Rosenberg Photography. I’m typing this post from Cap-Haïtien, Haiti, where I am currently with Trade Winds Ensemble, teaching and performing in partnership with a local music school. Every day, we lead sectionals, private lessons, classes in theory, pedagogy, and social-emotional growth, and every day I catch myself using the skills I practiced as a Civic Fellow. I guess this is my first professional engagement as a Civic orchestra alumna; I can’t think of a better way to show what I’ve gained. TOP: The Civic Fellows gather for a portrait in Grainger Ballroom. | Photo by Todd Rosenberg. Above: A fun, full season for the 2017/18 Civic Fellows!